While some essential oils should never be used by those with epilepsy, others have been shown to be beneficial. We make no claims here and suggest you consult your doctor. Rosemary is consistently targeted as a problem scent for epileptics so do not use our Rosemary and Jojoba Shampoo bars if you have this condition. 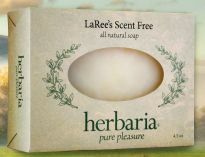 Sage is another no-no so do not use our Sage Lemongrass soap, either. Some sources advise avoiding any strongly scented essential oils at all, including mint and eucalyptus. Some include lavender in the “too strong group,” while others say lavender is calming and useful. It may also depend on memories associated with a scent. Ylang ylang is considered beneficial but perhaps our Indonesian Safflower would be overpowering. Bergamot is considered valuable in calming seizures; therefore Italian Bergamot, also a mildly scented bar, would be a good choice. Pink Grapefruit is another delicate bar. 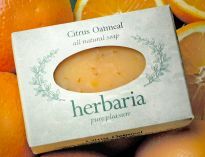 Other possibilities include Citrus Oatmeal, Patchouli Orange, and LaRee's Scent Free. We believe that commercial soaps with their synthetic perfumes and fragrances should be avoided. We began our investigations into aromatherapeutic benefits for epileptics when we heard from a customer who told us that mosquitoes were eating her daughter alive and she couldn’t use DEET. Our Citronella Mist was a great help to her. We would appreciate any feedback we can get on this subject.